For a long time, “Entry is consent” was used in channel topics and entry messages when a person joined. Submissives agreed to any form of use by dominants upon entry. Dominants agreed to be ‘broken’ upon entry. Consenting to hypnosis for various things upon entry. Any variation on the above and other obscure instances we’ve come across. Because Cuff-Link is pro-consent, and the idea of consent is tantamount in most of our decisions regarding what people can and cannot do under our ToS, we have had to revisit this particular mode of operating channels. It is no longer acceptable to gain consent in this manner from other users, especially since clients have the ability to block topics and notices. We now require that explicit consent be gained at least once upon entry by each person consenting to a thing. To do this, you will need to either ensure people have registered nicknames or you will have to drum up a bot that will voice users with a trigger. Admins, if they see topics or entry messages or any other form of notice stating “entry is consent” or anything similar to this, will change said messages to indicate this isn’t okay, and please come to #help and read this post for more information. CNC use [although we absolutely would prefer that CNC only be done between long-time partners or in established TPE relationships. See our CNC post for more. Enduring rotten vegetation being lobbed at you. Tell users who must consent to be present to give explicit consent that time for subsequent visits to the channel. 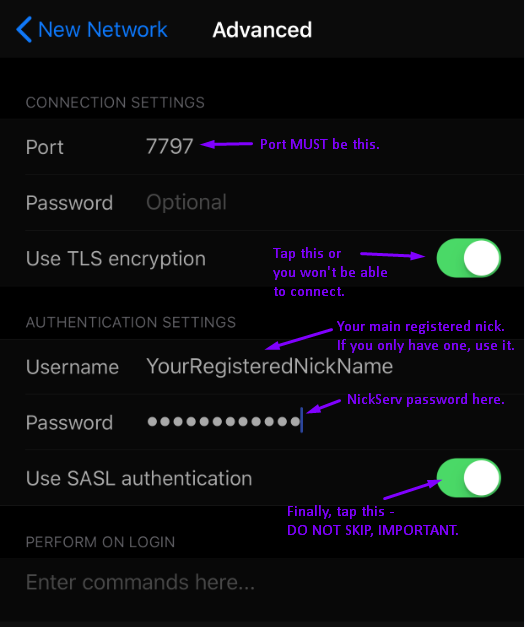 **In order to use the above command, you *must* use your NickServ Account Name. If you’re unsure which nickname that is, /whois yourself, and it will be the name attached to the “Is logged in as” or “Is identified as” line. Channel owners who do not wish to have a person in their channel anymore, can, of course, use the /remove, /cs akick, /ban, and /kick options, which are at their disposal. !consent – voice the user who consents to use. !revoke – revoke consent will /remove the user from the channel. However, if you have one of our profile bots in your channel, we could create an add-on feature that would do this for you, but if that is the case, you would not be able to use the voice-on-profile feature. If we do implement such a network service, it will be available to all channels. We will not require a user minimum in order to implement the feature, however it will require that the channel be registered for a certain period of time and that the channel has an active population, even if small. If you’re interested in a feature of this sort, please say so in the comments below!